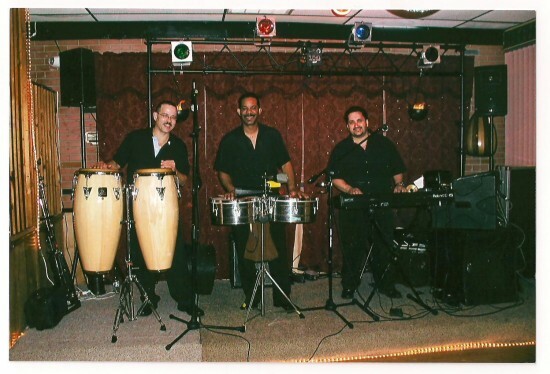 Latin music in the categories of: Salsa, cumbia, merengue, boleros, baladas, bachatas, vallenato and American music with professional musicians (solo, duet and trio). 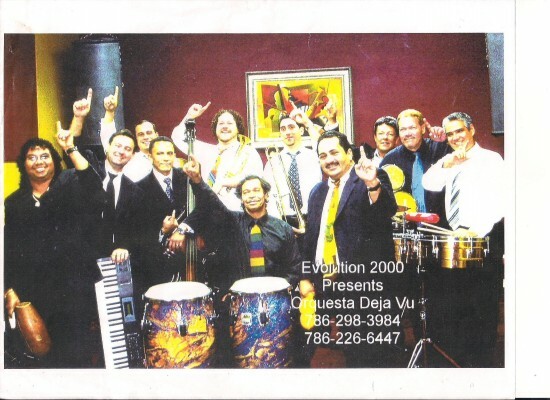 Enjoy how we produce the most realistic sound of live orquestration with just a few certified musicians. We have performed all over the New York Tri-state area, Miami, and Broward. Your best investment for your next party celebration will be with. Our prices are competitives. Schedule an appointment or Contact us and lets work the right price for your gathering. Somos Latino-Americanos y estamos preparados para Tours and trips. I can't thank George and his crew enough for the fabulous music made last weekend. They gave me exactly what I was looking for. They were booked for a 60th birthday (so target audience) was old school salsa. They came right on time. They played all the classics and favorites, songs that were exactly my parents' favorites. I spoke w/ George beforehand of the venue and music choice. They were very professional and friendly with my guests and made it a wonderful experience for my family. Everyone was dancing, music was amazing!! We had people taking their heels off because it was that good! I received so many compliments after the party. 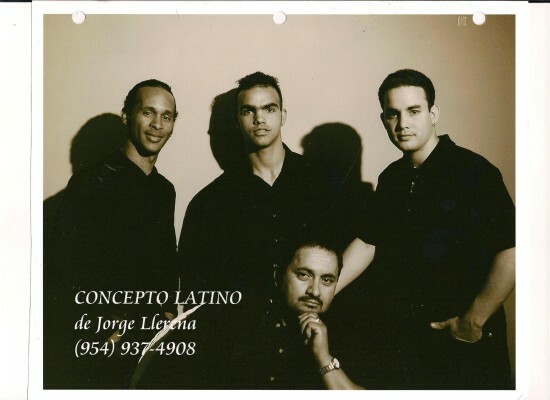 So glad I booked Grupo Concepto Latino! Raised in New York, Study Music theory and percussion in The Johnny Colon Music School, study Acoustic Bass in Conservatory of Brooklyn, voicing in BMCC College, minor in music. Played in a 12 piece band for 14 years, study music and Sound Engineering, music classes, production and recording. Solo performer, singer, percussionist in the Latin Quarter system. I interpret all Fania All Stars singers, salsa, wawanco, son, chacha, mambo. South American music, Cumbia, Vallenatos baladas, Central American, Bachata Merengue, boleros, also, American singers, Frank Sinatra, Dean Martin, Barry White, and many others. All songs are in perfect harmony with my pitch, the sound power is magnificent. All professional performers. Available on Friday, Saturdays. Unique in our class.